IQS Directory provides a comprehensive list of plastic cover companies and suppliers. Use our website to review and source top plastic cover companies with roll over ads and detailed product descriptions. Find plastic cover companies that can design and engineer plastic covers to your company’s specifications. Then contact the plastic cover companies through our quick and easy request for quote form. Website links, company profile, locations, phone, product videos and product information is provided for each company. Access customer reviews and keep up to date with product new articles. Whether you are looking for companies of vacuum formed dust covers, vacuum formed tube covers, industrial plastic covers, or customized plastic covers of every type, this is the resource for you. Valk is a family owned corporation focused upon quality, service and reliability. Their reputation for quality plastic covers is attributed to their dedicated employees, with their primary goal of providing quality workmanship, materials and services at a competitive cost. Valk’s commitment to quality is proven not only in their products and services, but by their commitment to ISO 9001:2008. Conlet’s goal is to understand your business needs & implement technology consulting, education & procurement. Their technology & training solutions have been implemented in a wide range of major industries. Functioning as a specialized extension of our client’s facility, we assure the highest quality of plastic covers with an optimum combination of price, quality & on-time delivery. We bring plastic covers that are above the rest! It is our main goal to provide you with customer service that our competition cannot hope to beat. We are providers of vacuum formed products in a variety of materials. We specialize in products that are utilized in both the food and medical industries. For more information get in contact with our customer service representatives by telephone or email today! We look forward to hearing from you! 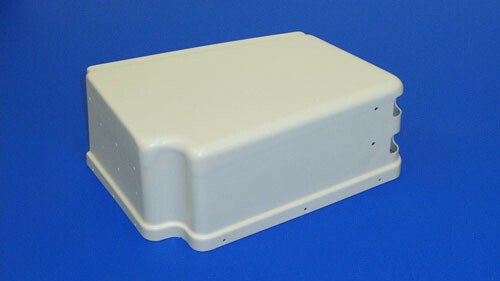 For over 40 years, EPP has been providing plastic covers to customers such as NASA, Boeing, Lockheed Martin, Johns Manville, Beckton Dickinson & the U.S. Postal service. This commitment to customer service in all phases of manufacturing from design to engineering to production is why they have considerable recognition as an outstanding source for formed & fabricated thermoplastic products. We do plastic covers and we do them well. It is our promise to you that we will work with you as long as it takes to find the solutions to all of your vacuum forming needs. As one of the leaders in the industry it is our job to provide you with the kind of high quality products that you have come to expect from us. Visit our website for more information on how to get started with our company today, or get in touch with our representatives by telephone or email. We provide the most innovative plastic covers available on the market today! We are a talented team of engineers and designers that are just waiting to work with you. We will provide you with customer service that is unsurpassable. Our plastic covers are designed and constructed for long term durability and use. Email our customer service today or come and check out our website for yourself! Plastic covers are vacuum formed plastics designed to secure, contain and protect objects from environmental conditions such as weather, lighting, dust, water or other debris. Covers such as these come in a number of different types and styles. Lids, for example are made to attach to a specific type or size of container such as a drum, barrel, storage, bin or pail. Caps are similar in purpose, but often simple rest atop a surface rather than adhering to it. Plastic covers may be as simple and versatile as tarps, which can be securely tied down in order to protect objects. This type of covering is not, however, easily applied in situations requiring a complete or airtight seal. Plastic covers are found in electronics, manufacturing, food processing, packaging, storage and shipping industrial settings where they may cover items such as bins, keyboards and large equipment. These items reduce contamination and prolong the working life of machinery as well as the shelf-life of certain food items. Domestic covers are also popular for such uses as furniture covers as well as storage and packaging. To suit such varied applications, plastic covers may be rigid or semi-flexible and may be clear, translucent or opaque. Colored covers are also popular as they allow for easy organization and identification. A wide range of sizes and dimensions are also available. While several manufacturing processes may be used in the production of plastic covers, vacuum forming is ideal as it allows for the inexpensive production of lightweight elements that fit exactly to an object, product, machine or container. 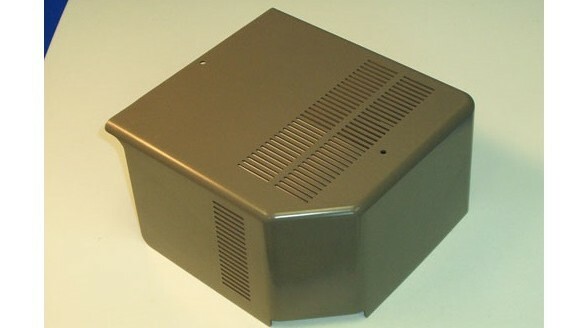 This thermoforming technique begins with extruded or rolled plastic sheets of the desired thickness that are fed into a pre-heating machine. Electric, infrared or natural gas heaters warm the materials to the temperature at which they become soft and pliable, but not fluid. Next, the still warm sheets are carefully guided into a form station that holds a pre-made mold. Presses, stamps or air pressure force the material to adhere and conform to the shape of the mold, often the inverse of the intended cover. A vacuum is employed to suction all excess air from the confined space, further pulling the plastic material into the mold. While in place the plastic is cooled until it reaches the desired rigidity. The final cover is ejected with reverse air flow before being trimmed or otherwise finished. Plastics such aspolycarbonate, noryl, PVC, royalite, polyurethane and vinyl are commonly formed into covers, but may require additional protective coatings for special properties such as UV blocking and moisture resistance. Plastic Covers - Conlet Plastics, Inc.